2013 annual report is published! Home / News / 2013 annual report is published! NCCF has just published our 2013 annual report for the fiscal year ending 3/31/13. It’s in the mail to constituents and also linked here in a readable format. 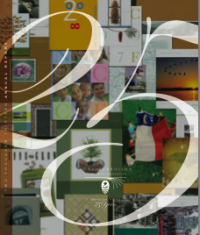 Highlights include a letter from Stuart Dorsett, board chair, and Jennifer Tolle Whiteside, NCCF CEO and president; and a brief overview of our first 25 years, including some “meaningful metrics” gleaned from our last quarter century. In addition to the report, NCCF has published our 2012-2013 NCCF Affiliate Profiles and 2012-2013 Donor listing for the year ending 3/31. If you would like any of these documents mailed to you, please call 919-828-4387.